Providing aid to children and elders. From coat and clothing drives to food and basic housing needs, join us in lending a hand! Affordable, healthy housing for all! Through educating others in the art of natural building, we are helping make it a reality worldwide. Cash, materials and time are needed today and everyday. YOU can make a difference in the life of another. Get involved! Give from your heart!  Seven Fires Foundation is simply a means for people to reach out together and help other people! 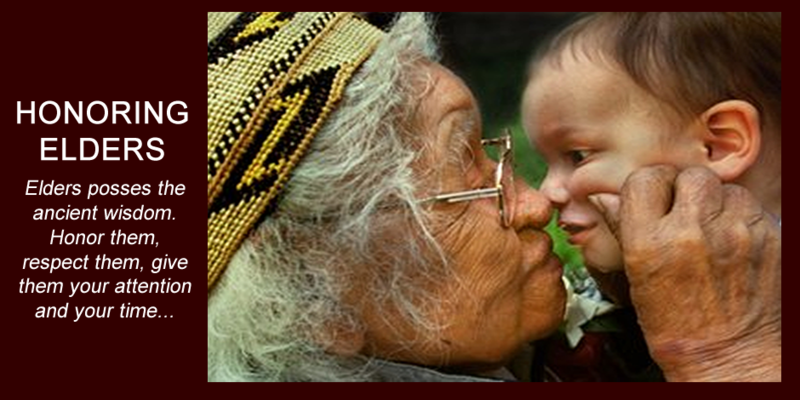 In 2003 a group of caring individuals united together to help children and elders wherever there was a need. That quest led us to some of the most impoverished areas right here in the United States, our reservations. For 10 years we have assisted with basic needs like clothing, shelter and food. 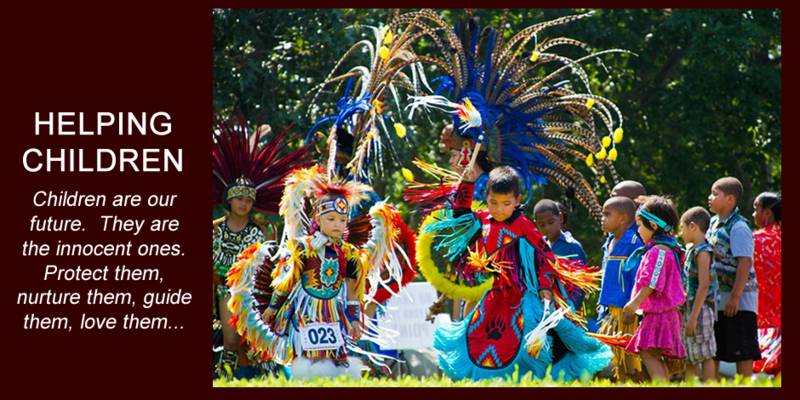 Our vision includes providing hope through the preservation of culture and tradition. And now we expand that vision to include empowering others through the revival ofteaching natural building techniques to illuminate the possibilities for everyone to live in a healthy, affordable home. Cash is not the only way for you to Give. Your time, your skills, even your clothes will help others! Money...Cash...Denaro...Moolla... Yes the green stuff is needed to carry out a lot of our work. Over 95% of every dollar donated goes directly to project funding! We are all volunteers with little operating overhead. Please give generously! We are always seeking new or lightly used clothing, shoes and school supplies for all ages from infant to adult. Contact us on where your items are most needed today. And of course if you have the luxury of time, volunteers are welcomed for various projects and needs throughout the lands. Join our team! 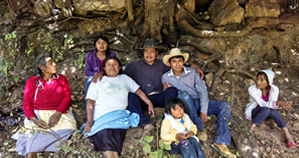 Project "Mixteca" ~ Help us build an earthen home for an indigenous Mixteca famly in Oaxaca, Mexico! 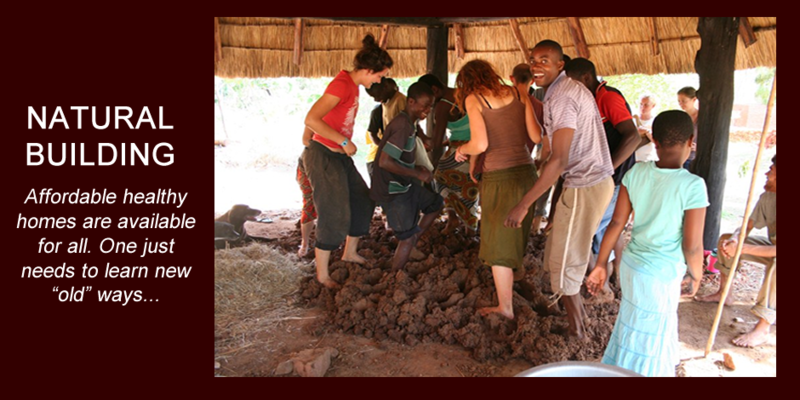 The 8 week project begins late January and will cost $8000 US (materials, tools and food/lodging for volunteers). One sweetly generous soul - thank you Alan from Bay Maples: California Landscapes! - is matching donations dollar for dollar! So, we need your help raising just $4000! Click HERE for more info on the project and how YOU can get involved! And meet the family in our YOUTUBE video. Or visit our WE THE TREES crowdsource fundraiser.